The use of static drawings or screenshots of the different parts of a web site to review the design concept with user groups. 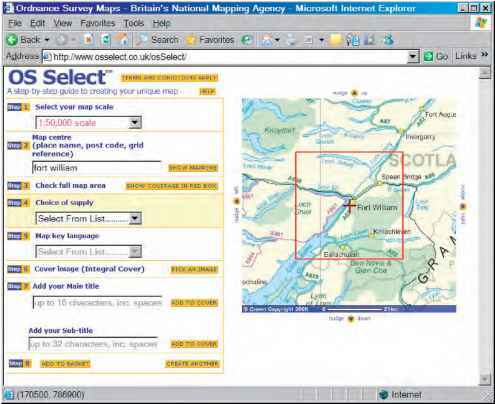 It can be used to develop the structure - an overall 'map' with individual pages shown separately. Blueprints illustrate how the content of a web site is related and navigated while a wireframe focuses on individual pages; with a wireframe the navigation focus becomes where it will be placed on the page. Wireframes are useful for agencies and clients to discuss the way a web site will be laid out without getting distracted by colour, style or messaging issues which should be covered separately as a creative planning activity. The process of reviewing wireframes is sometimes referred to as storyboarding, although the term is often applied to reviewing creative ideas rather than formal design alternative. Early designs are drawn on large pieces of paper, or mock-ups are produced using a drawing or paint program. At the wireframe stage, emphasis is not placed on use of colour or graphics, which will be developed in conjunction with branding or marketing teams and graphic designers and integrated into the site after the wireframe process. • Develop a page structure that can be easily reused by other web designers.